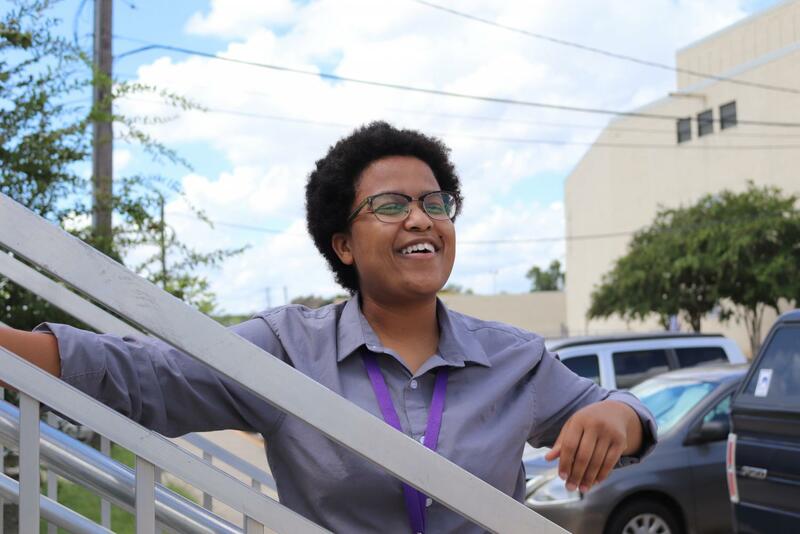 LASA gained 17 new staff this year, and that means there are 17 new first impressions on school life. Clubs, student organizations, and school traditions are only a few of the ways new teachers at LASA can get involved. 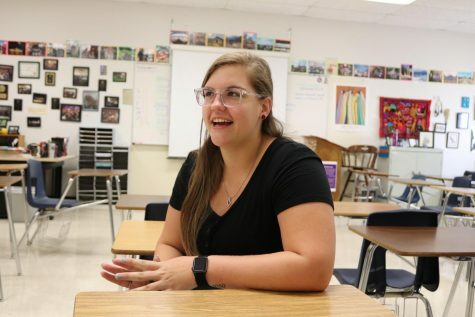 Jessica Vanover, the new AP US History teacher, said she was nervous when she found out she was going to be teaching at LASA. “I know students here want a really good education and they’re competitive, and I wanted to make sure they were getting what they needed out of me… that they were successful,” Vanover said. These sentiments were echoed by teacher Nathan Wong, the new Algebra II and Physics Right teacher. 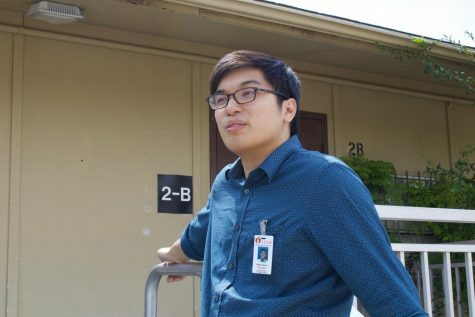 Algebra II and Physics Right teacher Nathan Wong joined LASA this year. photo by Hanif Amanullah. New Great Ideas teacher Sade Vallier said she previously taught history classes was interested in the prospect of a class based in conversation. AP U.S. History teacher Jessica Vanover joined LASA this year. photo by Hanif Amanullah. Despite apprehensive expectations, Wong said he had positive first impressions. Like Wong, Vanover had an enthusiastic response to students at LASA. Vanover, who first had a class in the portables, said she was surprised when multiple students helped out by taking her moving desk stand down from the purple hallway. “They’re super quirky. All kinds of interests, random pieces of knowledge,” Vallier said. She and Vanover expressed interest in all the different clubs the school offers. On the other hand, Wong said that moving schools always has its downsides. And for floating teachers like Vanover, who don’t have their own assigned classrooms, moving from room to room can be hard.